There are literally tens of thousands of brands, designs, types, models and materials to choose from when selecting a good working piece of cutlery. Good quality knives, just like all tools, are made by many a vendor these days and the person that finds themselves in a position to purchase a new knife or tool would be somewhat bewildered by the choices available. To make life a little easier, we decided to put together this article, which we are hoping will assist you in selecting the right knife or tool for your specific needs. Knives have been around since the beginning of time, albeit in the form of flint knapped stones right through to CNC machined and CAD engineered pieces. However, the modern knife has still not changed in its function since its creation. It is still, fundamentally an instrument that bears a handle or control device and a cutting edge with the design emphasis on utility as its end use. Although not everyone may agree, but the reality is that knives have been and always will be utilitarian in purpose. Swords, daggers and stilettos are not knives by definition, even-though some do retain a secondary cutting function. It should be said that the function of a knife is ultimately determined by its user. Humans are intelligent (supposedly) animals able to adapt to their surroundings, able to live anywhere by the ability to create and use tools to help them live and survive well enough to continue the circle of life. That said, there are usually (roughly) 2 categories of people - the ones that have a specific tool for each job and those that use one or more tools for a multitude of tasks. The same really applies to knives . Go into the kitchens of enough people and you will see those that actively use paring, filleting, carving, cleaving, boning and steak knives and those that have one or two generic kitchen knives and use them for all tasks as best they can. What am I getting at I hear you say! Well, basically, you need to ask yourself, what kind of person are you? Do you prefer specific tools for jobs or a “one tool fits all jobs” type? The answer will lead you to one of two options, that being: one knife or a few knives. 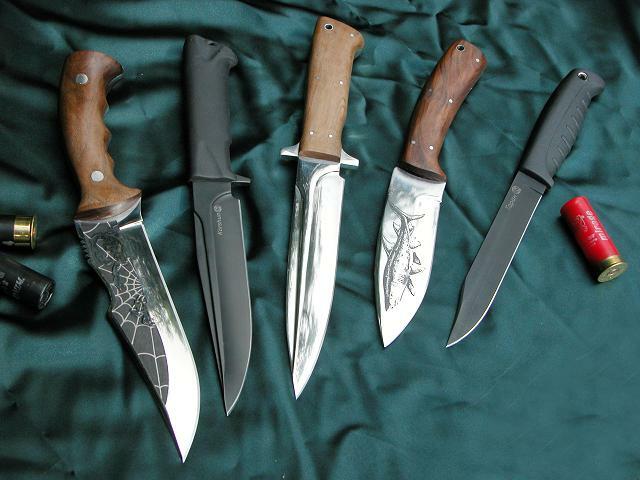 Knife designs vary widely. Some very simple and others very complex. Design is really only a cosmetic issue because in the end, all you really have is either a simplistic tool with a cutting edge or an over-engineered, CAD designed, CNC machined technical masterpiece that still only really has a handle and a cutting edge. The key to a knife's design is in its end use, not necessarily how it looks. Skinning knives traditionally have deep bellies (very curved/rounded blades) to best facilitate the action of separating skin/hide from gut and offal. Chopping tools like the Khukhri or Golok are long by comparison, heavy, sometimes forward curving blades that are designed to impart a maximum amount of kinetic energy to the business end of the blade to remove larger wood chips more often. 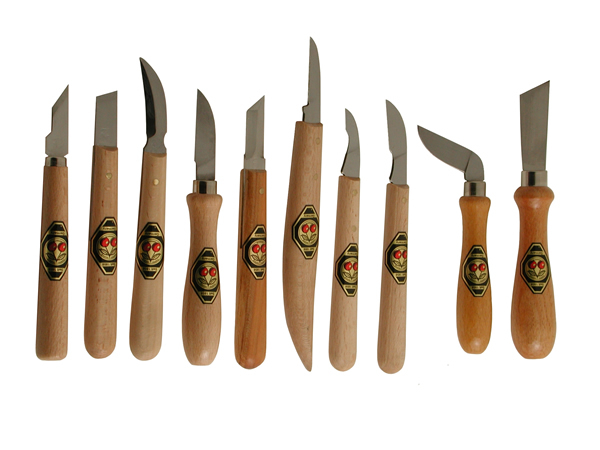 Carving knives are usually small, light implements with thin blades and scalpel sharp edges with a much flatter grind profile (not a lot of belly) best suited to producing those wood “shavings and curls”. 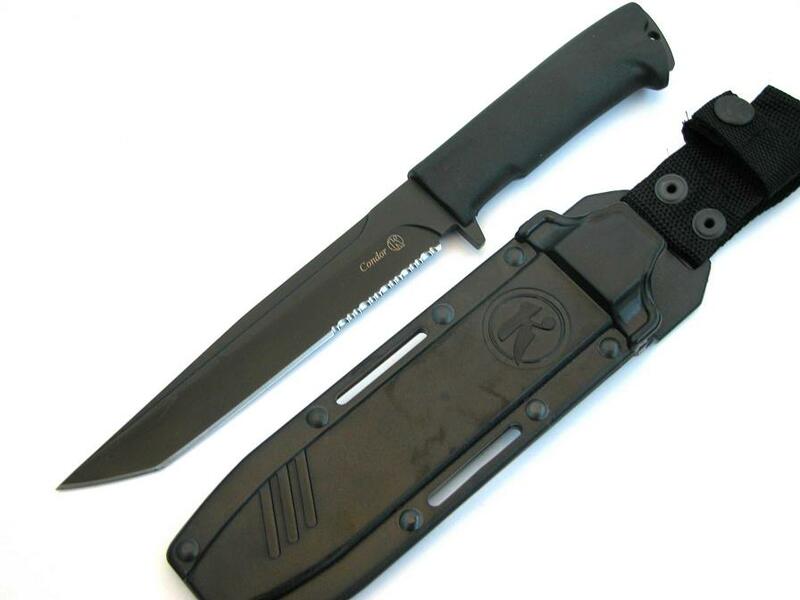 Survival, utility, combat and hunting knives are not specific designs, they are more like categories, as such they can encompass a large variety of actual designs. For example, a survival knife can be a khukhri or a carving knife, even skinning knives can be pressed into service as a survival knife. Any knife that you have with you at the time you need it could be called a survival knife. Simply because it helped you survive. 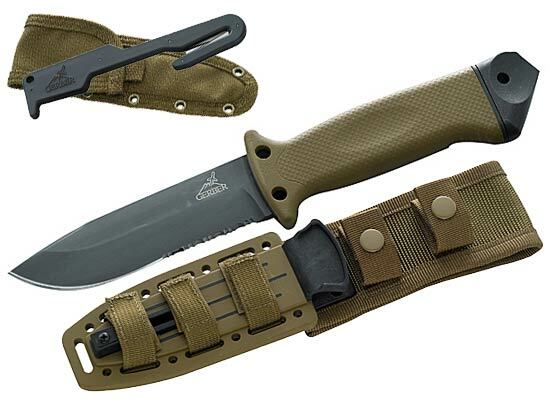 Survival knives in the popular or commercial sense are usually a combination of hunting, utility, combat knife designs with multifunction additions like compasses and saws. Combat knives fulfil the requirement of a utility knife, hunting knife, survival knife and sometimes, although rarely, an edged weapon (contrary to popular belief, combat knives are rarely used as actual weapons - ask most deployed soldiers what their combat knife is and you will be surprised to find that multi-tools are far more common than the stereotypical “Rambo” knife). In short, determine what your end use is and the frequency of that use. If you are a hunter looking for a few good knives for hunting or field trips, then look for a good, true purpose skinning knife to clean and process game. There are various designs of skinning knives available in the market, but they all fall under one of the following three categories: Drop points, Traditional Pukka with more straight spines and up-swept blades. They all come in different sizes, and you should choose the size according to the end use. No point buying a large game skinner if you are mainly hunting goats and foxes. You may also want to look for a good general purpose or utility hunting type knife to complete the camp site chores. A good quality utility knife should have a tough blade, but do not go overboard with thick blades. There are few manufacturers that make ridiculously thick blades of up to 8 and even 10mm in thickness. In the real world a good quality knife does not need to be more than 5mm thick. Thick knives are heavy and quite useless in the bush. Look for something with a good grip handle that fills you hand nicely. If the handle is too thin, it will cause you pain and discomfort within minutes of use, if it is too thick, it becomes hard to control and you may loose grip. 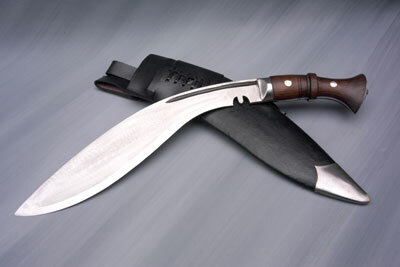 You may also want to consider a decent quality machete, Golok or Khukhri to clear your camp site before you set up. Throw in a small Swiss army knife or multi-tool to keep for those small tasks and you would be considered well equipped even for adverse situations. A good axe would not go astray for the extended outdoor stay if you wish to get serious about your shelter or firewood requirements. You could just be happy with a large bowie bladed field knife and a multi-tool. Both of which will still complete all tasks mentioned in the previous paragraph, but with a bit more effort and difficulty. It comes down to your personality and your budget. To answer this question, you, once again, need to ask yourself: Am I a person that maintains their tools to the highest standard or is tool care a secondary concern to me? Am I the type to properly clean and oil a high carbon steel blade every time it is used? Would I prefer to give my tools a basic rinse and put them away until next time? It is a well known fact that even average steel alloys can be made into great knives by the quality of manufacture/design and the application of first rate heat treating. Previously “brittle” stainless steels, when expertly manufactured and heat treated, frequently outperform their “tougher” high carbon steel competitors. It is a quality issue more than anything. Steels compositions and heat treatment are all important, but most first time consumers will find themselves bogged down in the technical aspects of differential heat treating, quench time, drawing, tempering and so on. There is a much simpler way to cut through the information jungle. 1: Learn that a knife is just that…a knife. It is not a crow bar, hammer, axe or scythe. Even though there are some manufacturers that claim to be able to pry a train off its tracks with their product or pierce the side of an Abrahms tank without tip damage, they are still just knives and usually their warranty details contradict their claims of indestructibility. Most production knives are strong enough for light (opening cans) and medium (removing nailed wood panels) prying. Always try to use the right tool for the job. 2: Learn to sharpen and learn to do it properly both in the home and in the field with machines and/or stones. It wont matter what kind of super steel alloy you have or the fact that it was heat treated using alien technology, if you cant sharpen well, the heat treat and steel becomes irrelevant. In addition to this, sharpen according to the knives intended end use, if you want a skinning edge, sharpen to a polished razor/scalpel edge, if you are hacking away at the scrub or setting up an expedient shelter, use a more (but not quite razor/scalpel sharp) general purpose edge that can take the impacts of light chopping and battening. The key is to be smart about what you have and how you use it. 3: Buy quality products, FULL STOP! Avoid flea market garbage and cheap commercial copies (or cheap commercial production at all for that matter). If you add up the cost of buying and replacing poor quality products you will find that in the end, it was cheaper to invest more in 1 good quality item and look after it than 25 poor quality items - after all, good quality tools will outlast their owners if looked after well. Today’s disposable mentality has promoted cheap, bad quality goods and endless frustration dealing with the problems of those goods failing, often at critical times. Don’t be a “tight-arse”, buy quality the first time and learn to look after what you have. Prevent you damaging your knife/tool. Guide you to the best sharpening technique and sharpening mediums for the steel and steel hardness you have (eg; D2 alloy you would need diamond or ceramic stones etc). Know your tool and the best, most efficient way to use it. If you are the type to trawl through the forums looking for opinions and answers then good luck. This can be fruitful and it can also be downright confusing. Here is a good forum tip: those manufacturers that have a revered following or are made in places with long cutlery traditions are a good place to start looking. Sheffield - England, Solingen - Germany, Kizlyar - Russia , Albacete - Spain, Maniago - Italy, Ekilstuna - Sweden and so on, all have a long (and excellent) cutlery producing history. Some, like Damascus in Syria or Toledo in Spain were once great centuries ago but alas, are no longer. Keep up to date. If you are going to look for opinions in the forums then look for the majority vote, some manufacturers have very little to no bad reviews at all. These same manufacturers also seem to keep some forum rivals happy on both sides. These are the ones to look for. Don’t get bogged down in or influenced by brand wars and petty bickering. Personal preference plays a big part in peoples opinions - you might like to use a knife that another person despises but that does not make it a good or bad knife. You must look at the facts. Look at its materials, manufacturer, heat treating, steel and price. Take time to examine the quality and the design of the sheath or scabbard - after all, it is what keeps your knife safe, keeps you safe from accidents with the knife and prevents the worlds most important survival tool from becoming lost when you need it most. Choosing according to the end-use! 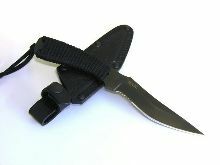 Soldiers - require strong, compact, lightweight knives with low maintenance materials, the ability to be decontaminated, non-reflective coatings, highly secure and strong sheaths with more than one way to secure the knife yet able to be withdrawn quickly, quietly and easily, some have to be “jump rated” or must stay secure by retaining the knife during parachute deployment and descent. Multifunction features are also sought after, such as: serrated blades for rapid rope/fibre cutting, glass breaking points, retention lanyards, protrusions for light prying or blades strong enough for this etc. Hunters - when skinning, the blade requires high edge retention characteristics, deep-bellied knives that take and hold a razor/scalpel edge for cutting through hide and skin. Skinning knives are not usually heavy-duty blades and most resemble large, well-made scalpels with nice timber handles and blade finishes. When breaking up a game animal the hunter will need a larger, more robust knife capable of separating limbs and bones without edge damage, cutting away offal and entrails, along with processing wood for kindling and rudimentary camp tools, a.k.a. camp-craft and wilderness survival if necessary. In some circumstances, the dispatching of a wounded game animal may also be required of the hunting knife and therefore it must be strong enough to withstand a certain amount of lateral stress to the blade. Campers/Hikers - usually small folding/multifunction or multi-tool knives and utility type fixed blade knives accompany campers on most trips. They need to complete tasks such as food preparation, processing kindling for camp-fires, as a primary survival tool should the need arise, opening food tins and packets and improvising tent pegs and stakes from local trees etc. Survival - a huge subject but usually requires a general purpose, utility fixed blade knife that is strong and can be easily sharpened with improvised tools in the field (like on a rock). Design should allow you to complete a multitude of tasks with reasonable ease like camp fire preparation, shelter creation, food preparation, hunting tool and trap/snare manufacture, wood processing for fires, manufacture of camp tools, eating utensils and signal fires etc. All this is dependent upon the skill of the user. Simply put, without survival knowledge and practice, the best and most indestructible knife in the world wont save you. 4WD - refer to “campers/hikers”, as the functions are essentially the same with the only exception being that including features on a knife that would allow you to escape (or for you to extricate a trapped person) an overturned or damaged vehicle. Such inclusions would be seat belt cutting hooks or serrated blades with blunt tips (to prevent injury to the accident victim) and glass breaking features. A blade strong enough for medium to light prying would not go astray if your doors fail to release etc. Saws, axes and shovels are also very important to those in remote locations with 4WD vehicles, to free bogged vehicles and remove track obstacles etc. Collectors - not relevant here as collectors collect what ever they like regardless of function or design. Backpackers - as most don’t spend any time in the field and nearly all must travel internationally, most will choose multi-tools or Swiss army knives as they are legal in practically all countries and are never offensive in nature, therefore are good to travel with and will fulfil all backpacking tasks well. Culinary - consult a chef. 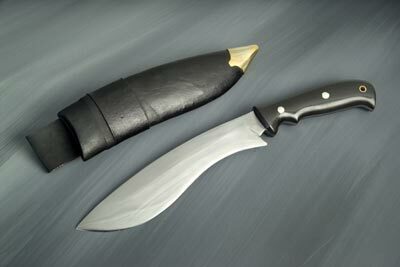 This article focuses mostly on fixed blade knives of the types not commonly found in kitchens. Martial Arts practitioners - this may be specific to your martial arts discipline. Tantos for some, Keris for others and bali-songs all have their place. But for those concerned with delivering instruction in military hand to hand combat involving knives usually fall into roughly 2 categories - fighting with whatever knife you have and using specific edged weapons to eliminate and assassinate. The former involves anything a soldier has on him at the time he is attacked (fixed blade, bayonet, folding knife) at close quarters and the latter usually involves (but not limited to) daggers and/or stilettos to remove enemies quickly and quietly. The main difference lies in that the former situation has one combatant aware of and attacking another combatant, the latter situation usually involves the attack of a combatant by another combatant without the first combatant being aware of the attack until it is carried out - by stealth. Bush-crafters - The term “bushcraft” has its origins in 18th century penal and frontier colonies both here in Australia and South Africa. Bushcraft and campcraft are similar in nature and involve the creation of all camp site tools, utensils, shelters, traps and hunting tools, using one or two fixed blade knives onsite and from locally foraged materials. Do not be swayed by those that tell you a proper “bushcraft” knife is a small, fixed blade knife with full tang blade and an edge ground with a Scandinavian profile - these are carving knives and while well suited to the task they are not the be all and end all of bushcraft tools. Any good quality, strong fixed blade knife can be used for bushcraft, success depends upon the skill of the user, not the necessarily the tool. In conclusion, remember this. Knives are utility tools, not weapons. Anything can be turned into a weapon by a user with ill intent (car, brick, pool cue, pen, glass, fist etc) so be aware of what you purchase and own and use them responsibly. Inanimate objects are exactly that - inanimate, meaning they have no ability to move or function without human or animal interaction. The old saying that guns don’t kill people, people kill people rings true here and can be applied to anything used offensively. There are far too many panic-merchants and fear-mongers waiting for the chance to ban anything and everything to appease the save ourselves from ourselves crowd. Be responsible and sensible in your use, carriage and storage of any edged tool, don’t let society get to the point that you will need licences and safes to store your butter knives in. Thank you for your time…now go buy and enjoy using your knives and tools.